We wish you and your family a wonderful Merry Christmas that full of joy, love and peace. 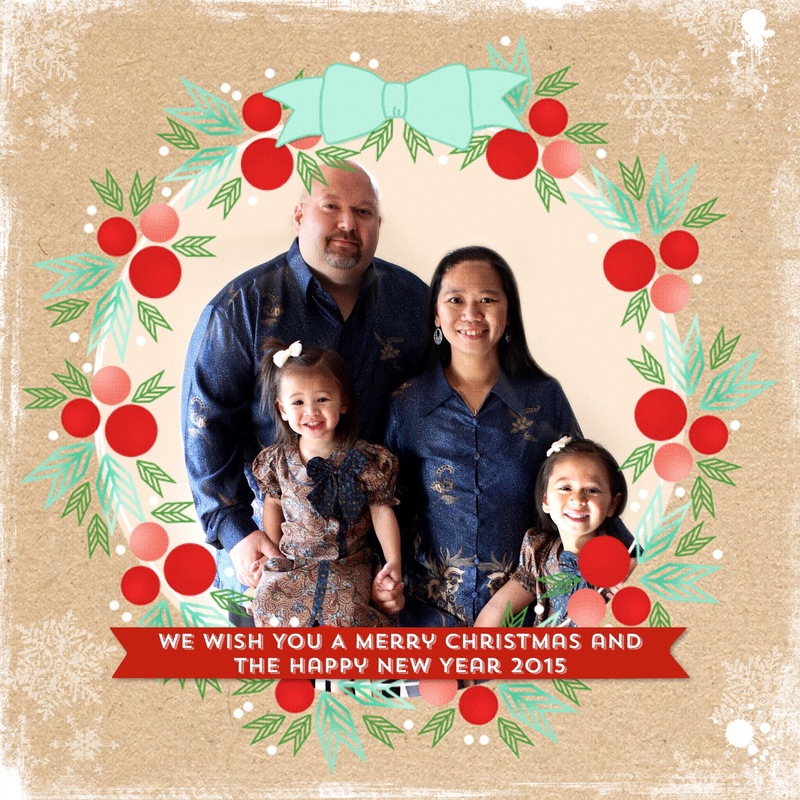 And have a blessed New Year 2015! Merry Christmas to you and your beautiful family. Thank you for your ongoing inspiration both with your creative endeavors and missions. I don’t comment regularly, but I do drop in to see what’s going on in your corner of blog land on a regular basis. Thank You, Becca! Merry Christmas to you and family! May God bless you in 2015! Thank you! May your family be blessed in the new year as well! Our God reigns and He is coming back for us soon! so we have a wonderful hope! Thank you, Vicki! Wish you the best new year! What an awesome LO and message. Hope your Christmas was wonderful. Merry Christmas to you and your beautiful family!!! May God continue to bless you and yours. Hugs!!! Hi Kristie, THANK YOU 🙂 God bless you too!